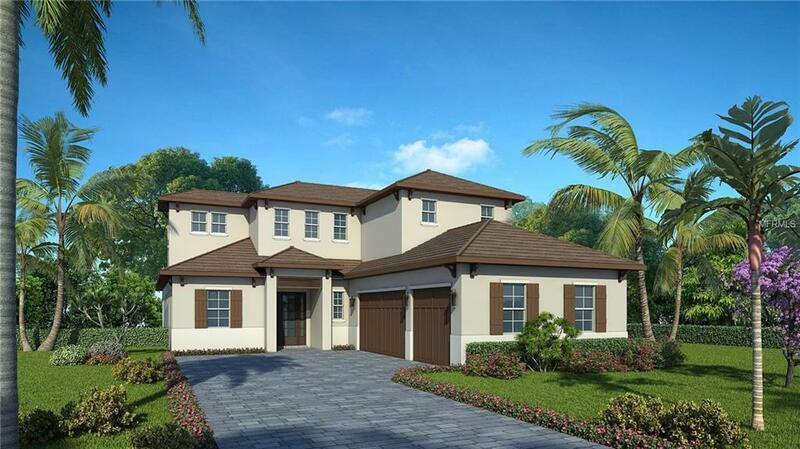 Under Construction - Anticipated Completion Spring 2019 - The Bermuda by Heritage Builders is ideally situated on the largest home site in West Bay, a private gated enclave of only 4 luxury single family residences in Sarasota's most sought after West of Trail area. Thoughtfully designed, this West Indies inspired custom home presents a rare combination of quality and elegance set in a superior location. Casual yet refined livability is the centerpiece of this custom home, with integrated Great Room, Kitchen and Dining Room, all of which open to the poolside lanai.The home's southern exposure provides ample light and warmth to the breathtaking pool area, lanai and outdoor kitchen. A luxurious Owners' Suite awaits with spacious walk-in closets, pedestal tub and glass shower enclosure. Guests and family members savor an En-Suite Guest Bedroom on the first living level. Constructed with the utmost attention to detail, the Bermuda offers a custom kitchen with handcrafted hardwood cabinetry, stainless steel appliances, granite and quartz counter tops throughout, 8' interior doors, engineered hardwood flooring, porcelain tile, plush carpet, energy efficient spray foam insulation and hurricane impact resistant windows. Listing provided courtesy of Hb Realty Group Inc..